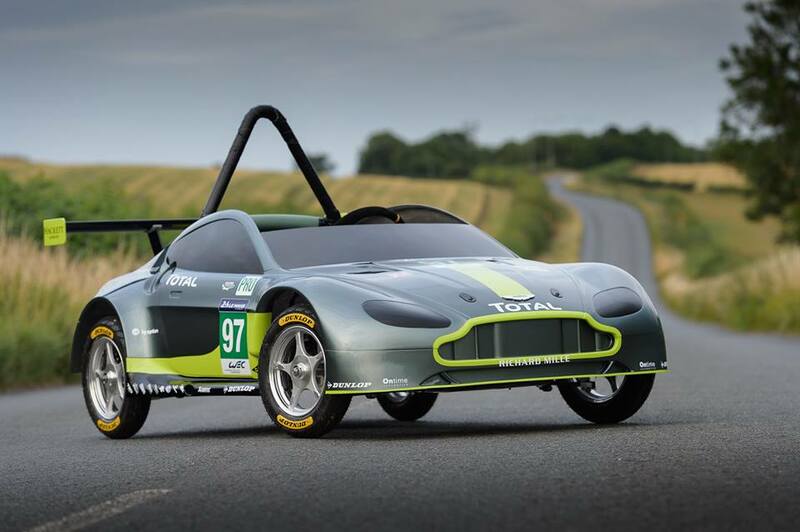 Aston Martin Racing will reveal a very special-edition of the V8 Vantage GTE that won the 2017 24 Hours of Le Mans at this Sunday’s Red Bull Soapbox Race at Alexandra Palace in London. 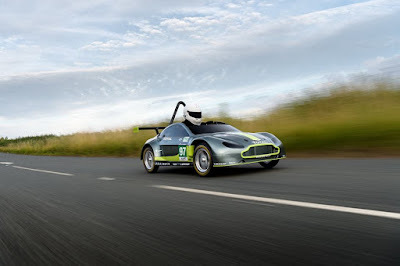 The ’24 Seconds of Le Ally Pally’ will see a crack team of Aston Martin personnel, take on all-comers in a miniature version of the Le Mans winning V8 Vantage GTE. 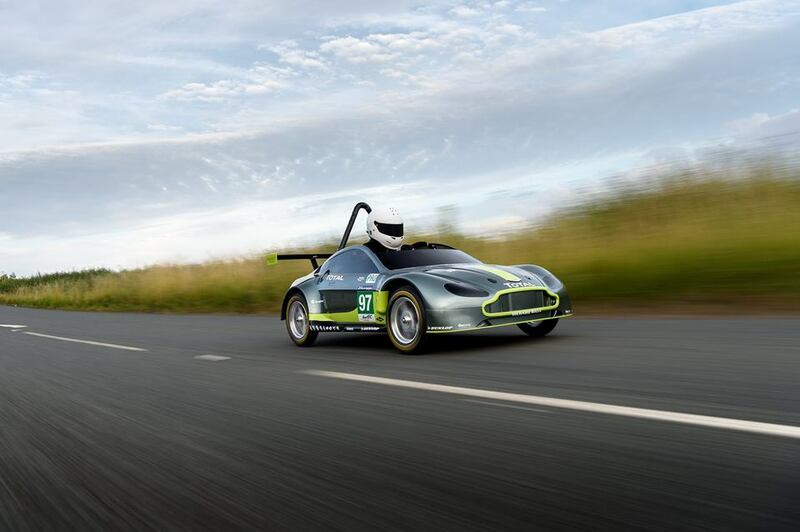 Aston Martin has a successful Innovation Partnership with Red Bull Racing but there will be no favouritism on Sunday. It is a level playing field, so to speak, and the Aston Martin crew is ready for the fight having made meticulous preparations. Over 104 years ago, early Aston Martin cars were designed for hill-climb racing so all that knowledge can now be turned on its head. It’s not great news for those who love the sound of a V8 or V12 engine as the power source for this event much quieter…gravity! With design and engineering by Aston Martin and the build taking place at Aston Martin Works in Newport Pagnell, the Aston Martin challenger is already a favourite for the event. Entrants are judged on speed, obviously, and creativity of design. 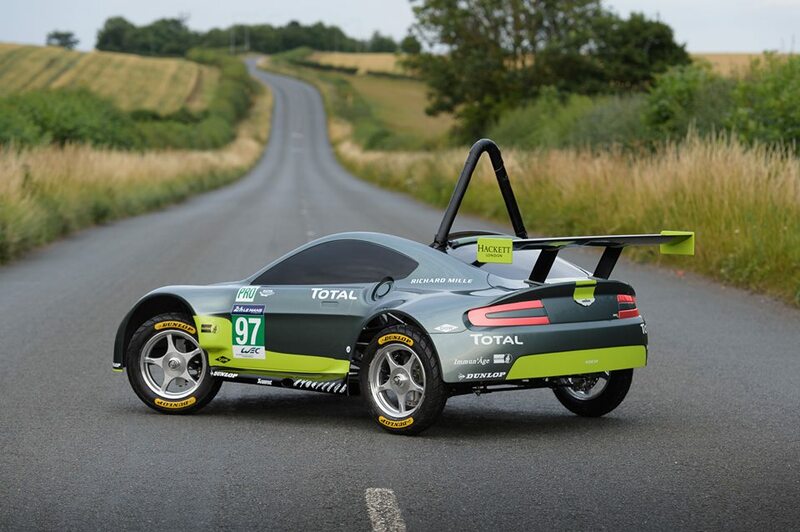 They are also judged on showmanship and this is where Le Mans winners Darren Turner (GB) and Jonny Adam (GB) can help. Well-known for their ability to put on a great show, the two racers will be on hand to support Alex Summers, Aston Martin Prototype Operations Senior Engineer who has (been) volunteered to race the mini-Vantage. Tickets for the race have sold out but you can catch all the action on Dave (Sky 111, Freeview 12, Virgin 127) from 17:00hrs on Sunday. Fans can also vote for the Aston Martin Racing team by visiting http://www.redbullsoapboxrace.com/uk/en/team/24-seconds-of-le-ally-pally/.